Kankadurga’s family had claimed that they did not approve of her going to the Sabarimala temple as they were in favour of temple traditions and customs. 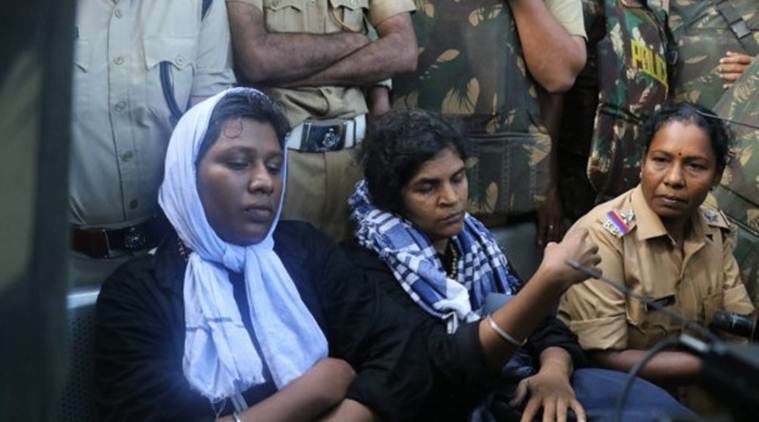 Kanakadurga, one of the two women who made history by breaching traditional gender barriers to offer prayers at the Sabarimala temple in central Kerala on January 2, filed a police complaint Tuesday morning alleging assault by her husband’s family on returning home, an official said. The complaint, registered at the Perinthalmanna Police Station in Malappuram district, by Kanakadurga says she was beaten with a stick by her mother-in-law when she returned home this morning, an official at the police station said. A case has been registered under Section 341 and Section 324 of the IPC. The official said she has named only her mother-in-law in the complaint. Kanakadurga, who was admitted to the Government Hospital in Perinthalmanna post the assault, is fine now, the official added. Also, there some reports that her mother-in-law is also admitted to a hospital after she was assaulted by Kanakadurga but the police officer did not confirm the same. ‘We don’t have that information right now,” she said. Kanakadurga and Bindu Ammini, both in their early 40s, have been moving from one safe house to the other over the last two weeks fearing attacks by right-wing protesters ever since they offered prayers at the temple. Both women had returned to their native places earlier on Tuesday. Kankadurga’s family had claimed that they did not approve of her going to the temple as they were in favour of temple traditions and customs. In fact, her family was shifted to a safe place by the police after she entered the temple.